Russia hopes to sell 100 Sukhoi Superjet aircraft to Iran. Iranian Defense Minister Hossein Dehghan is in Moscow to discuss the purchase of $8 billion worth of Russian arms and ammunition. Russia is also looking to sell 100 Sukhoi Superjet passenger aircraft to Iran. With Iran no longer under international sanctions, Moscow and Tehran are discussing a slew of defense and economic agreements. Iran would like to purchase at least $8 billion worth of Russian armaments and military hardware, Kommersant reported on Feb. 16. Russian defense industry sources told the newspaper that the two-day visit of Iranian Defense Minister Hossein Dehghan to Moscow, which began on Feb. 15, was expected to give a serious boost to a number of keynote arms deals. According to the newspaper, Tehran presented a list of armaments and military hardware it would like to buy from Moscow. The Russian Defense Ministry and the Kremlin are studying the list. Dehghan is being accompanied by a representative delegation of senior officers from the Iranian Defense Ministry. Last week, Dehqhan told an Iranian television station that Iran would sign a contract with Russia to co-produce Sukhoi Su-30 multirole fighter aircraft, according to the Fars News Agency. Moscow is also keeping an eye on Iran’s civil aviation industry, which is poised for major growth. 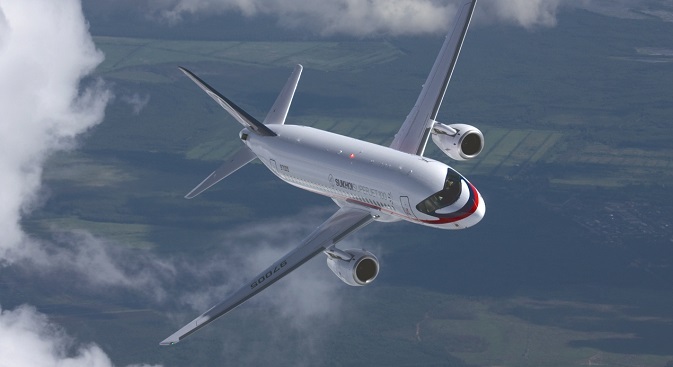 United Aircraft Corporation (UAC) hopes to sell up to 100 Sukhoi Superjet-100 (SSJ-100) passenger aircraft to Iranian air carriers, UAC Vice President Vladislav Masalov said on Feb. 16. There are no formal restrictions on deliveries of airplanes to Iran, he noted. "But since this airplane has a number of American-produced components, delivery permission is required in any case," Masalov said. There are also plans to begin manufacturing certain components locally, he added. “A working group has been formed. What is being discussed is not only deliveries of airplanes, but also a willingness to produce certain components locally,” Masalov said. Lukoil said on Feb. 15 that it bought a shipment of Iranian oil for its oil refinery abroad. "We've signed a contract, but I won't say for which refinery," Lukoil vice president Vladimir Nekrasov told reporters. Several economic deals are likely to be announced when the Russia-Iran Intergovernmental Commission meets later in the year. Iran is also expected to make a formal application to become a full member of the Shanghai Cooperation Organization.